Looking north-east, September 6th 1920 at 6:15pm. 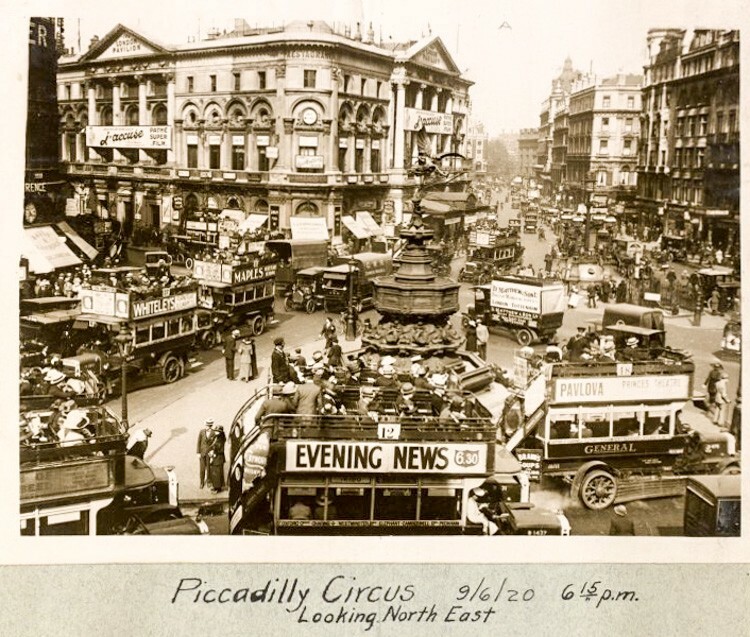 From the motor bus and general traffic study of London, England, compiled by Lewis Nixon, Commissioner, Public Service Commission, 1st District, State of New York. Photo from the New York Public Library and used with permission.